The 60 species in this family all seem to be phytophagous, feeding and breeding within flowers, and they probably pupate at soil level within a silken cocoon. 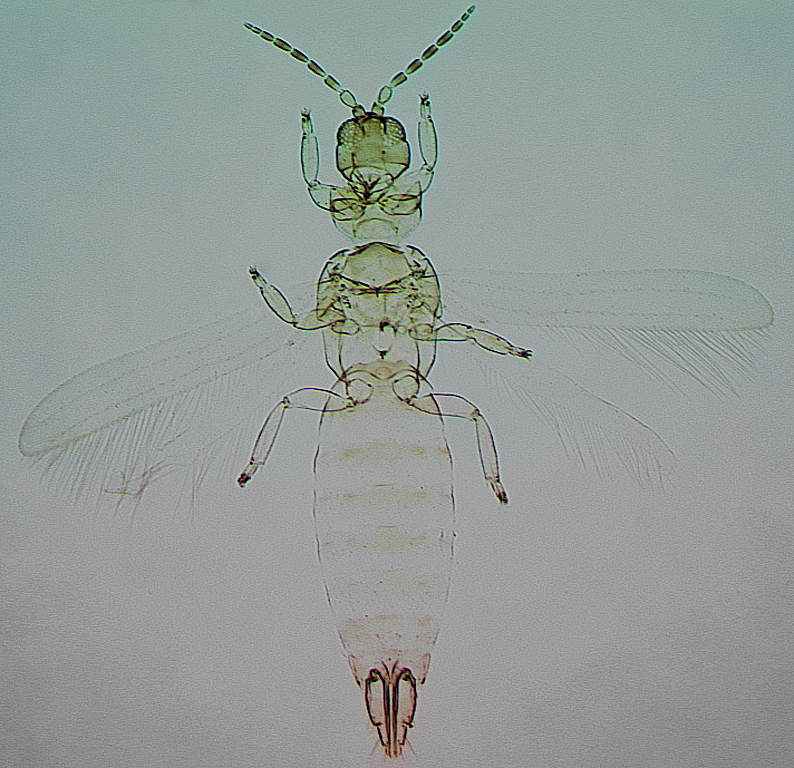 Although there is limited reliable data, many of these species seem likely to be both host specific and univoltine. Despite some species being locally abundant in Europe or in North America, there are few studies on their biology and life history (de Borbon, 2009). 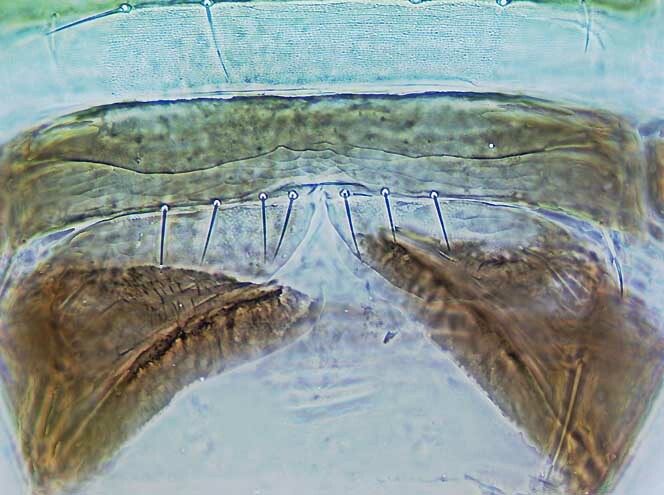 The antennae of Melanthripidae species are nine segmented, with the distal segments fully distinct from each other and bearing many microtrichia, and the sensoria on segments III and IV transverse to oblique. 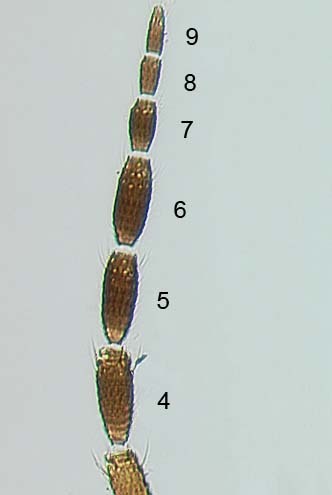 These sensoria vary considerably in width between species, and in Melanthrips tortus from Morocco they are unusually long and extend to the midpoint of their segment (zur Strassen, 2003). 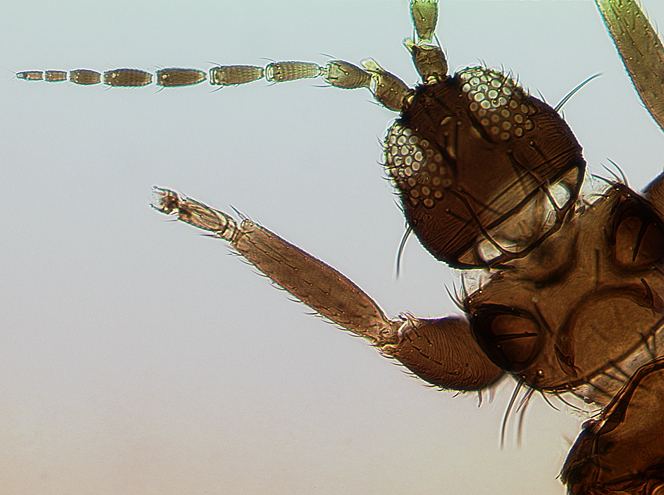 Most species are large and robust, with the head and thorax bearing several pairs of long setae. 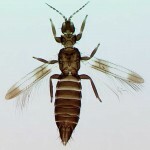 However, in Australia some species of Cranothrips are small and pale with very short setae. 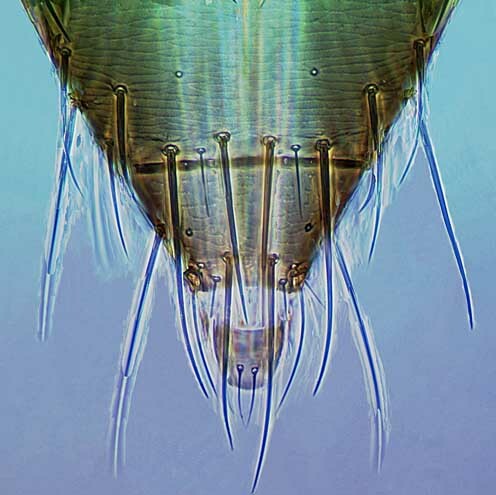 The tentorial bridge in the head is well-developed with stout anterior arms, on the metanotum the median setae arise close to the posterior margin, the forewings are broad with several cross-veins and the apex rounded, and on the posterior margin of the seventh sternite in females there is a pair of lobes each with two setae as in Merothripidae. 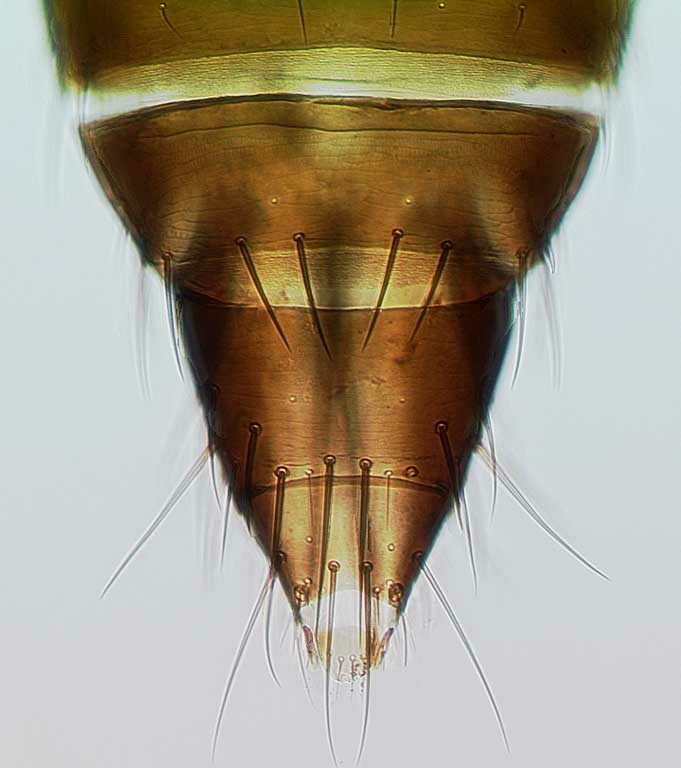 In the members of three of the four genera the mesothoracic spiracular area is prolonged dorso-ventrally, but this is not so in any species of Dorythrips, all of which have a sub-circular spiracular area. Four genera are recognised in this family, of which Melanthrips with 36 species mainly from the Palearctic region is the largest; zur Strassen (2003) provided a key to 24 of these species. 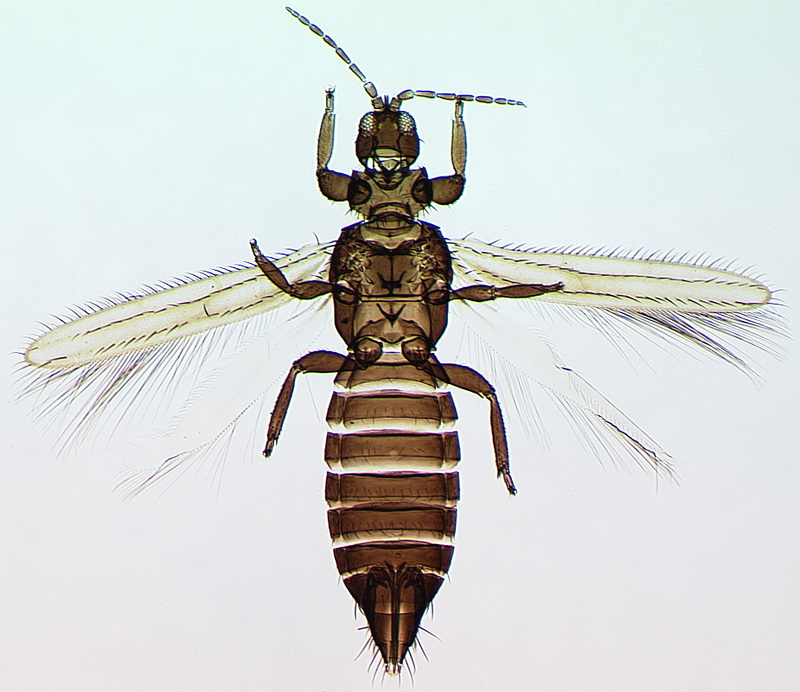 Of the other genera, Dorythrips includes five species, Cranothrips 10 species, and Ankothrips 12 species, see Mound’s Thysanoptera pages. 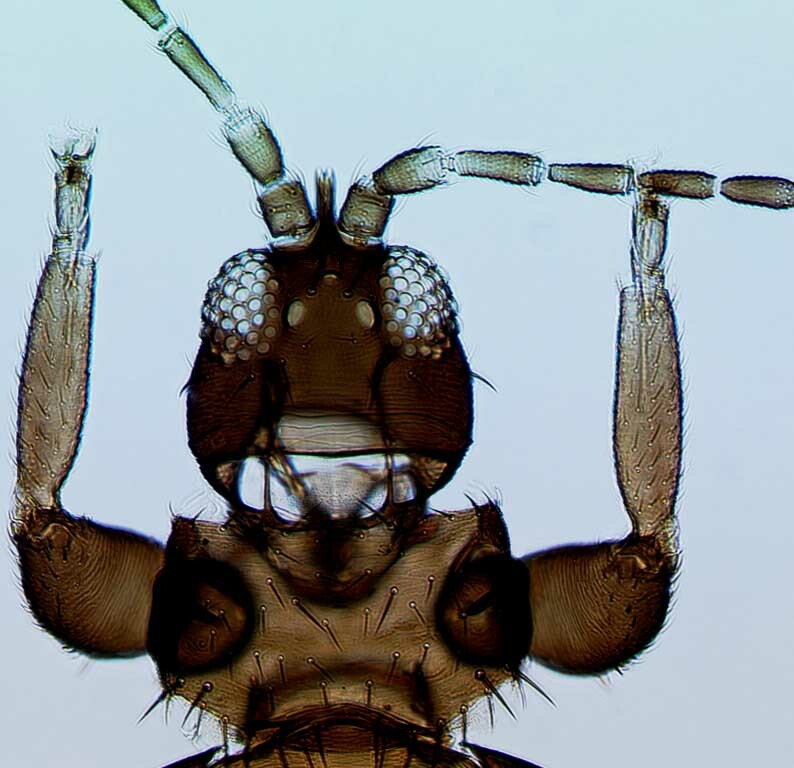 Cranothrips and Dorythrips are both restricted to the Southern hemisphere, and both have remarkably disjunct distributions. 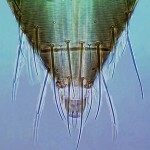 Cranothrips has nine described species in Australia and one in South Africa (Mound & Marullo, 1998), and Dorythrips has two described species in Australia and four in western South America (de Borbon, 2009).Ankothrips also has a remarkable distribution, with seven species in western North America (Hoddle et al., 2012), four in southern Europe, and one in South Africa. In contrast, Melanthrips is essentially Palearctic, although it seems to be particularly diverse in the southern parts of that region in countries of the eastern Mediterranean. In addition, two Melanthrips species are described from South Africa, two from India, and two from western USA (Hoddle et al., 2012). 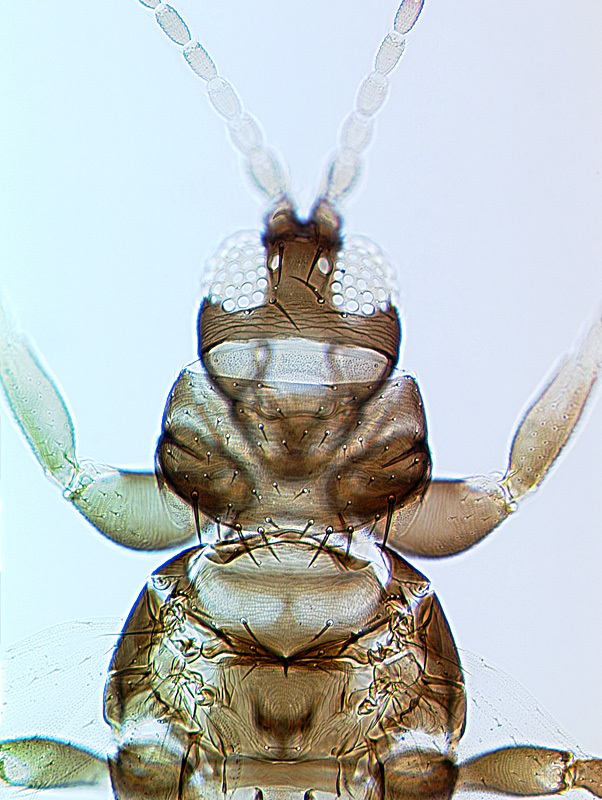 The Melanthripidae is one of eight families recognised in the Thysanoptera suborder Terebrantia. 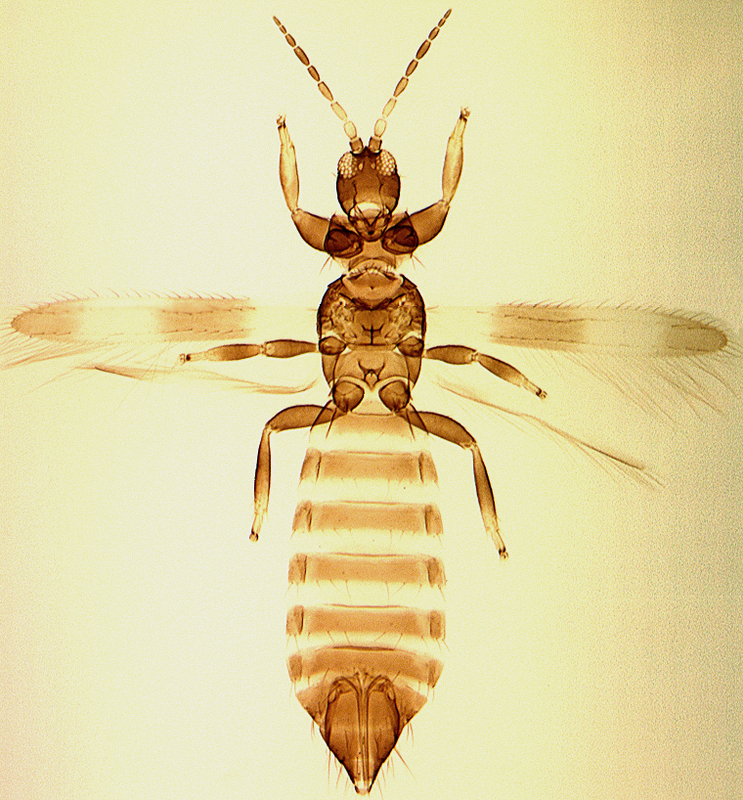 For many years, the four genera in this family were considered to be members of the Aeolothripidae, but placed in a subfamily Melanthripinae. 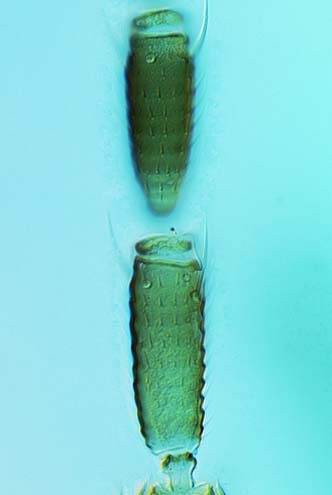 However, females of the species in these four genera all have a pair of lobes with an associated two pairs of setae on the posterior margin of the seventh sternite. 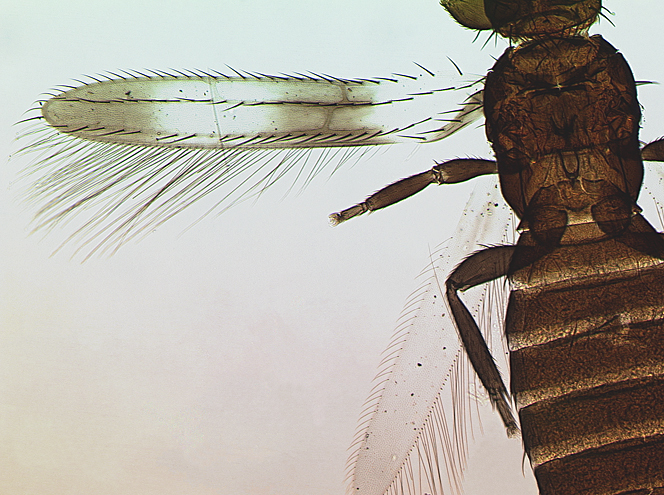 These lobes and setae are also found in females of the Merothripidae, and they are interpreted as representing the ancestral eighth sternite. 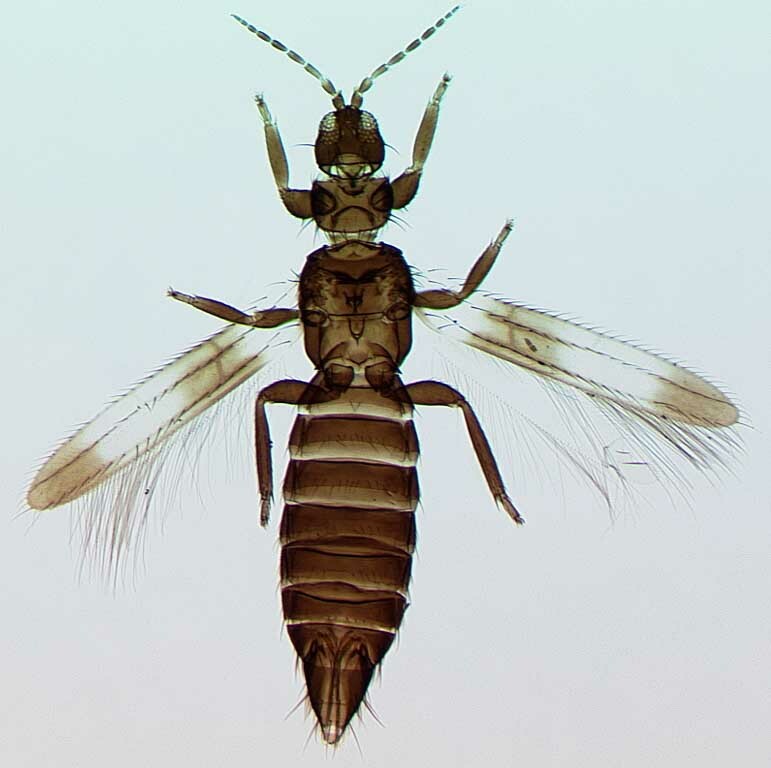 In contrast, all species of Aeolothripidae have no trace of the lobes, although the seventh sternite of females always bears a pair of supernumerary setae at or near the posterior margin. 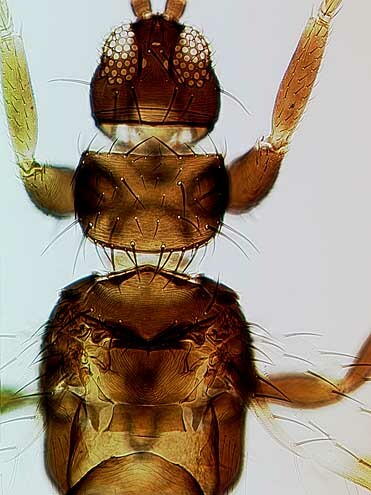 The family Melanthripidae presumably represents an early branching of the Thysanoptera lineage. 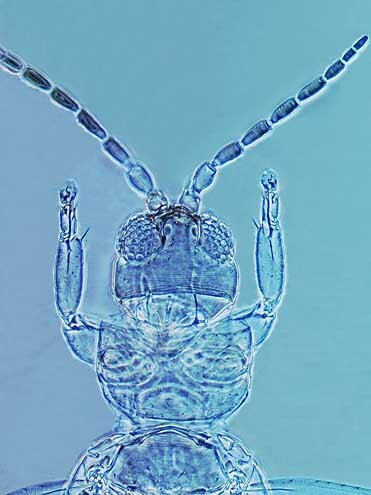 Members of this family also retain some other ancestral character states, including a well-developed pair of trichobothria on the tenth tergite, transverse sensoria on the antennal segments, and a well devleoped tentorium in the head. 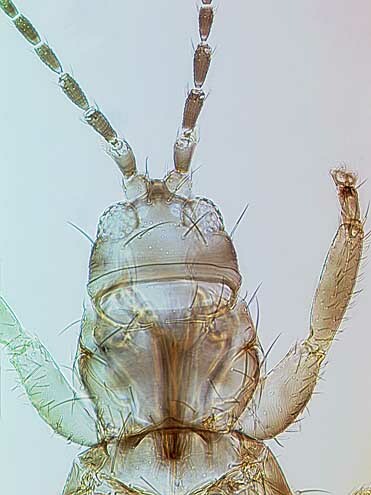 Bhatti (2006) considered the Melanthripidae to be a superfamily, Melanthripoidea.